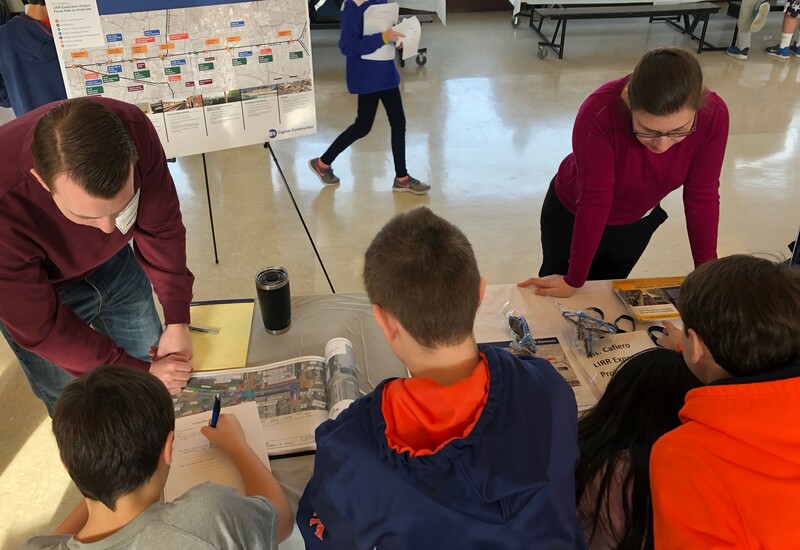 On February 1st, the LIRR Expansion Project team joined sixth grade students from Garden City Middle School at their Career Day. Students learned about the project and asked members of the project team about their career paths. STEM was one of several topics discussed at the Garden City Middle School Career Day. On January 31st, the LIRR Expansion Project announced its first STEM competition for students in grades 6 through 12 at specific schools along the project corridor. Residents and commuters along the Main Line corridor, including Garden City residents, have long sought a mass transit solution to reduce road congestion, improve safety and provide an appealing alternative to driving – all with minimal disruption to existing train services and without residential property takings. 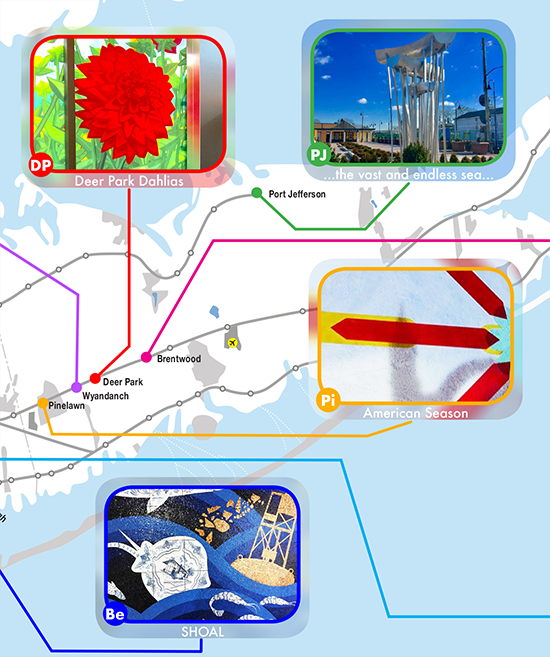 Projects in or adjacent to Garden City include the enhancement of Merillon Avenue Station, the replacement of Merillon Avenue Substation, the replacement of the Nassau Boulevard and Tanners Pond/Denton Avenue bridges and the elimination of the New Hyde Park Road grade crossing. The construction of a third track from Floral Park to Hicksville will reduce train congestion and delays and enable true bi-directional service during peak hours with a more reliable rail network. This transformative work includes several related projects, including the construction of up to five parking garages, retaining walls, improvements to rail bridges and the removal of seven street-level grade crossings. Construction has begun and is being handled in a way to minimize the impact on daily routines, with extensive mitigation and public outreach efforts being planned in conjunction with local communities. For more information please visit the LIRR Expansion Project Floral Park to Hicksville project page on AModernLI.com – http://www.amodernli.com/project/thirdtrack/.